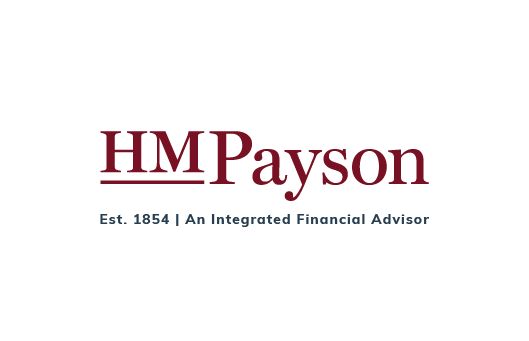 You could be forgiven for calling HM Payson a wealth management firm. But within the firm’s walls, these advisors see themselves as something different: stewards. The 164-year-old company is entrusted by families as stewards of multi-generational wealth and has also taken it upon itself to extend that stewardship to the world where future generations will live. That’s why, over the past few years, HM Payson has supported Bigelow Laboratory for Ocean Sciences of East Boothbay, Maine. Each summer, HM Payson’s support has helped Bigelow Laboratories run a lecture series called Café Sci, which is open to the public and covers the groundbreaking research being done at Bigelow. And while Bigelow conducts research all around the globe, I recently visited its East Boothbay headquarters for a Café Sci lecture on a topic much closer to home -- one that many Maine the Way readers might be familiar with: Maine mussels. When I get a mesh bag of fresh Maine mussels from the fish market, I want the mussels with the thickest shells and the meatiest bodies; who wouldn’t? As we wrote in our story on Bangs Island Mussels in Issue 01 of Maine the Way, Matt Moretti and his father Gary are using Matt’s background in marine biology to inform decisions about site placement that maximize growing conditions for their mussels and grow the largest and healthiest mussels they can. 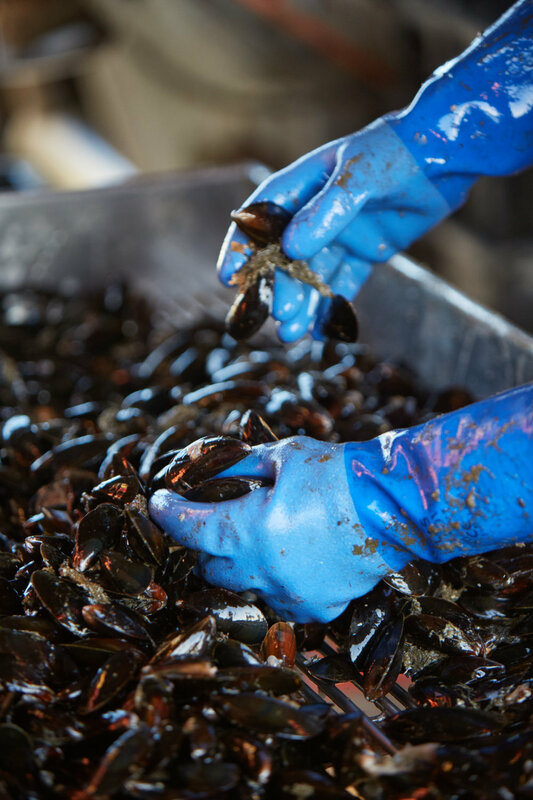 At the same time, a team at Bigelow Laboratory for Ocean Sciences spearheaded by Dr. Nichole Price has been researching the effects of growing sugar kelp in close proximity to mussels, and the Morettis have joined the project as industry partners. On a muggy and fog-bound July afternoon, I head up to the Bigelow Laboratory in East Boothbay, Maine to learn more about this project. After turning onto a long and winding drive, I crest a hill and arrive at the laboratory. It is a state-of-the-art modern building, LEED Platinum certified I’m later told, perched on the hill overlooking the Damariscotta River (or so I have to assume given the thick fog that obscures my view). I’m met inside by Steven Profaizer, director of communications at Bigelow Laboratory. After a quick introduction, he begins giving a tour of the facility and the different projects going on at the lab. It is his role to distill the complex science being conducted in these glass-walled labs down into something the public can understand and connect with. He leads me through a lab that tests for red tide, the toxic algal bloom that can infect shellfish, another room with temperature-controlled samples of over 3,000 phytoplankton species —the largest such collection in the world—and even to a lab where two torpedo-shaped autonomous sampling drones that crisscross the deep water of the Gulf of Maine are being worked on between dives. As we are (hopefully) all aware, humans have been spewing greenhouse gasses—particularly carbon dioxide—into the atmosphere, where they have been causing a global temperature increase. At the same time though, vast quantities of carbon dioxide are dissolving into the world’s oceans. This causes ocean acidification (‘Why’ I hear you ask? Think back to your high school chemistry class—water [H2O] and carbon dioxide [CO2] combine to create carbonic acid [H2CO3]). One effect of this acidification is the chemical erosion of carbonate-based materials in the ocean including coral reefs and the shells of mollusks like clams, oysters, and mussels. In fact, oysters are already spawned in carefully regulated water out of the oceans as they cannot readily grow in the acidic ocean water, and it is expected that as oceans continue to get more acidic mussels will face similar threats. Luckily, just like on land where plants use carbon dioxide and release oxygen to create energy, seaweeds like kelp can mop up carbon dioxide and release oxygen as a byproduct. This, in turn, helps to reduce the acidity caused by that carbon dioxide. Furthermore, kelp can be grown on aquaculture farms not dissimilar from those of mussels. Could this be a match made in heaven? That is what Dr. Price and Matt Moretti set out to discover when they relocated some of Bangs Island's mussels to the nearby Ocean Approved kelp farm earlier this year. Following close monitoring, it became clear that the kelp helped to create a bubble of less acidic water that benefited the mussels. The end result? The mussels grown alongside the kelp have demonstrably thicker shells with fewer weaklings prone to cracking. They also have noticeably more meat in each shell than mussels grown away from the kelp. Dr. Price leads us downstairs in the lab where she and her team have created an apparatus for the next stage of their research: a series of airtight containers filled with seawater where they will grow mussels and kelp under controlled scientific conditions. “I’m very excited about this!” Dr. Price beams as she surveys the plexiglass tanks under bright LED lights. “Mostly from Boothbay and the surrounding towns,” he tells me. Amazing. I think it is so cool that almost two hundred community members are interested and engaged in the science coming out of this lab, and that Bigelow Laboratory for Ocean Sciences, with the financial support of HM Payson, makes it a priority to share its work with the local community. Let's just say, this may have been my first trip up to the Café Sci talks, but I hope to become a regular—for I,too, see the value in their research.